Building Security standards and Policy: BAP allows for the sharing of security standards among multiple BAP frameworks. 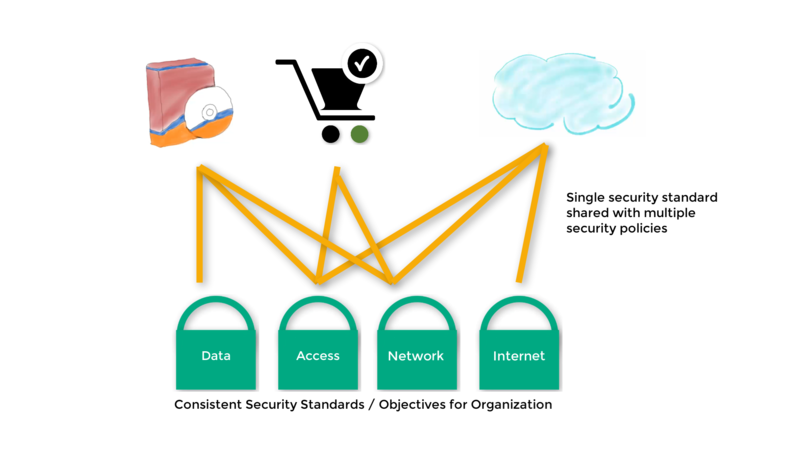 This allows an organization to centrally create security standards and freely distribute that standard throughout the organization. There is one caveat, if you have purchased a security standard from the BAP marketplace you cannot share the purchased security standard. There are no license restrictions for creating security standards as BAP operates with a very open licensing policy. BAP believes that the creation of security standards is important and should not be restricted by licensing. Create as many security standards as you like, with charges only occurring when the security standard is used within a security policy. To promote and encourage environments to become more secure, BAP only charges once for the security standard regardless of the number of security policies the security standard supports. For example, the security standard regulating access control could be used with every security policy within your environment. For many large environments, they may have hundreds of security policies if not thousands. Within the BAP framework, the access control security standard will only consume a single licensing slot, saving our customers considerable cost. In fact, within the BAP framework, we incentivize our customers to establish security standards and policies by actually lowering their cost as they become more secure.